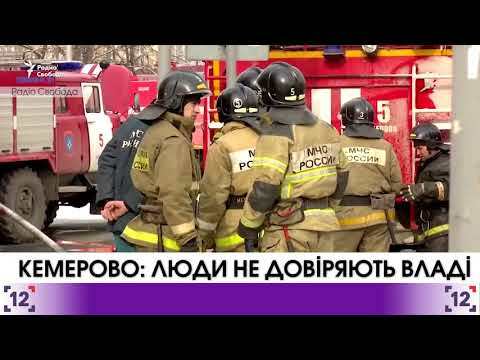 After the leisure complex fire in Kemerovo thousands of people got together in the city center. People demand the authorities to publicize the real number of victims. The official amount of the deceased is 64. However, the witnesses write in social networks that the real number is over 300. Angry at Russian officials people, among which there are relatives of the dead want the regional governor, Aman Tuleev, to resign. He, so as his deputy secretary, ignored the tragedy and were not present at the scene on 25 March. At the same time the officials deny the number of victims’ diminish. The activists check all the local morgues to verify the number of bodies. The President of Russia arrived to Kemerovo to hold a meeting concerning the disaster. He said the fire occurred because of “criminal negligence”. One of the owners of the mall “Zimnyaya Vishnya” promised to pay the families three million rubles for each victim. However, staying in Australia, he does not have plans to return to Russia. The police has detained people. One of them is the person responsible for fire security. He does not have experience of working in the sphere, as his specialty is completely different. He is a cook. And he has never worked with such complicated equipment before. He building came into fire in some seconds. The fire alarm did not work. A lot of victims even did not have a chance to escape, as the doors were blocked. Ksenia Sobchak, who was a candidate to the presidential post this year, published an information that free tickets, used by children to go to the cinema that day, were presented to people at the election.